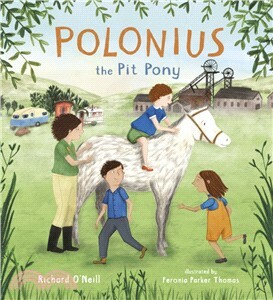 When Polonius the pit pony escapes from the coal mine he's worked in all his life, he joins a family of Travellers. Although he enjoys the freedom and the fresh air that their lifestyle offers, he wishes he could give something back to the family in return. When the chance arrives for him to do something to help, he rises to the challenge, and uses his intelligence and skills to save the day.